Today, the buzz word around almost all of the industry sectors is Big Data. It is especially promising and differentiating for the insurance industry which, with no physical products to manufacture, arguably holds data as their most valuable asset. Digitization of the market has changed the way insurance is delivered, and companies are now building their services with exciting capabilities around big data and analytics, telematics and the Internet of Things, mobility and cloud. Big Data has had a very deep and profound impact in the way insurance industries function. For instance, a commercial fleet insurer may use actual data derived from telematic devices implanted in vehicles to underwrite a policy and set rates, thus improving accuracy rates and increasing profitability. Due to the highly competitive nature of the insurance industry, companies who have successfully integrated big data and analytics have created a competitive edge by implementing low cost structures, greater efficiency, and proactive customer engagement. The insurance industry has undoubtedly made progress in capturing the majority of the structured data from traditional relational data management platforms. Today, the need to impart latest technologies to tap into the voluminous unstructured data —which processes information through sources such as real-time news feed, social media, and other mobile channels. It’s imperative that the CIOs and CEOs invest in the right technology that can enable and enhance their business capabilities further. 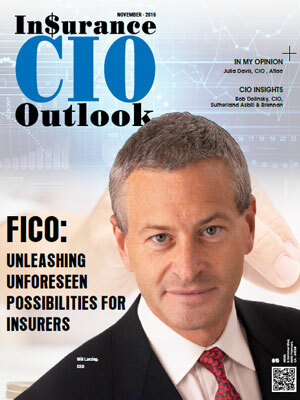 With that in mind, Insurance CIO Outlook has charted out the top 10 companies offering the most comprehensive solutions around big data to insurance companies. 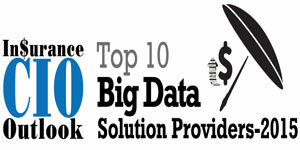 Here are the 10 hottest big data solution providers for the insurance industry.